Relive the classic hit Thunderbirds series! High-quality miniature model kit of the Thunderbird 4. The International Rescue Thunderbirds are yours to command - all they need is glue and paint! Relive the hit Thunderbirds series! 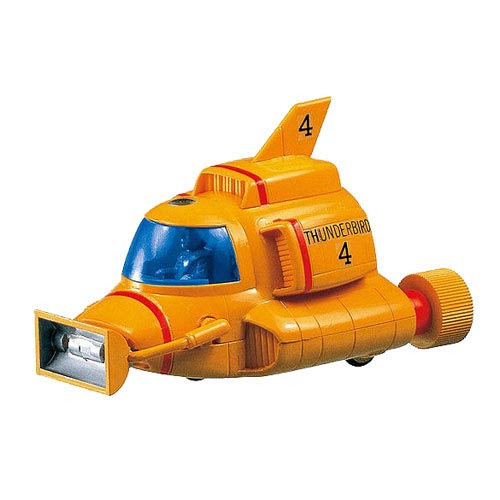 The Thunderbirds International Rescue Thunderbird 4 Mini-Vehicle Model Kit is a brilliant model kit for you to recreate one of the greatest vehicles in the International Rescue Thunderbirds' fleet - but in adorably tiny form. Requiring glue and paint to complete (not included), the Thunderbird 4 in miniature model kit form can be yours to command in no time at all! Ages 12 and up.